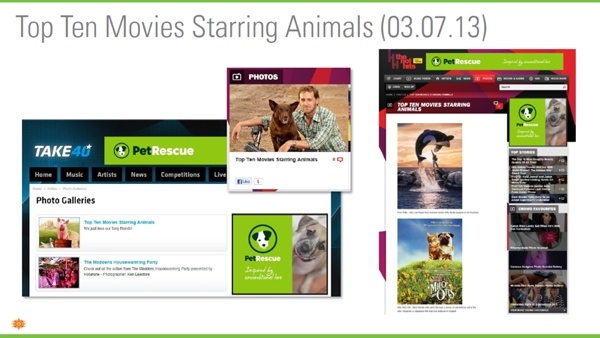 If you haven’t seen PetRescue’s TV commercial or heard our radio ad yet, you’re in the minority. Over the past three months, our pet adoption awareness campaign has been played and replayed on premium radio shows and primetime TV all across our great pet-loving nation. 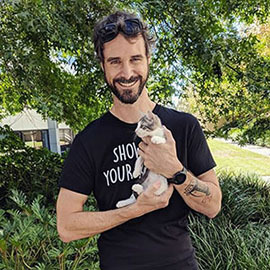 It’s part of a massive media push to reach out to more adopters and create a real success story from the increase in pets listed on the PetRescue website. Since the new PetRescue website launched in October 2012, the number of listed pets has almost doubled, which means more pets are being rescued from Australia's pounds. And that’s fantastic news. 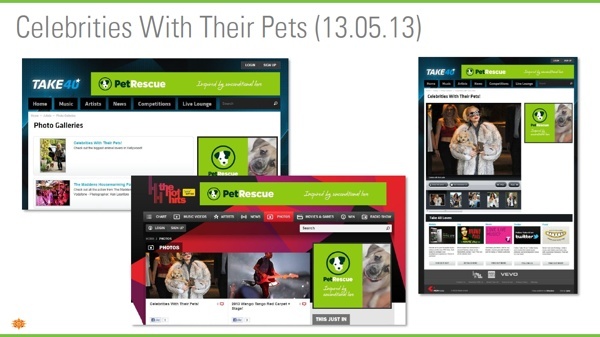 But to find homes for these pets, we needed to deliver the adoption message to far bigger and broader audience than our existing website users. And we needed to do it on a budget of zero. Undeterred and determined to make it happen, Vix and JB worked tirelessly to formulate a strategy, get media contacts on board and secure the kind of national exposure a rescue pet’s dreams are made of! We’ve been seen on national, regional and metropolitan TV, totalling more than 17,000 primetime spots on women’s soaps, daytime general entertainment, men’s interest and children’s shows nationwide. That’s $167,000 worth of free advertising, coordinated by Starcom and Business Director Hayley Clarke. And, of course, we can't forget the advertising agency WHYBIN \ TBWA Group, the director, production team, actors and animal talent who all volunteered their time and expertise for free to create the commercial. Our radio ad has also been aired countless times on premium and drive-time shows, including The Hot Hits®, Take 40 Australia®, Better Homes and Gardens® and Triple M Drive. 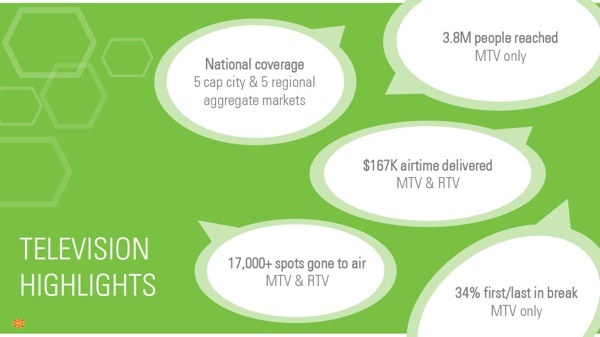 We’ve actually lost track of the total tally, but Starcom has reported an overall advertising value in excess of $93k. It’s another huge success that began with the generosity of a creative team. 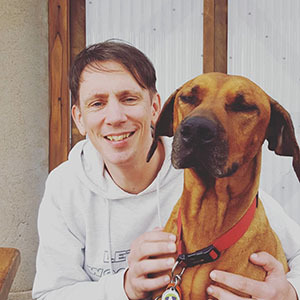 This time MCM stepped up to offer their writing and producing services for free – the same amazing team who put together the awesome Underdogs TV show for PetRescue and PEDIGREE. 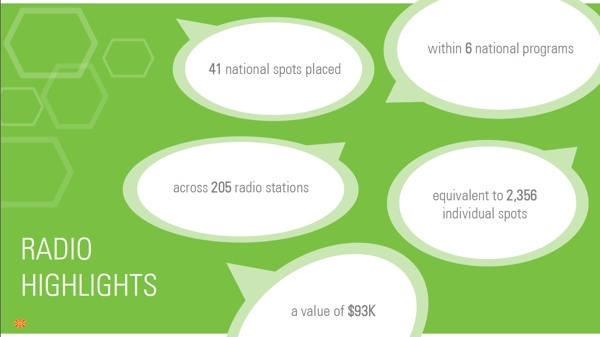 Along with this great national exposure, the radio stations themselves enthusiastically supported our campaign on their website and social media pages. All this fabulous national exposure has given many caring hearts and minds a good reason to opt to adopt – a fact that is clearly represented in the boost to our website visitors over the last three months. In a single day, we’re now seeing up to 17,000 visitors to the PetRescue website, sending more than 300 enquiries and issuing more than 3,000 email alerts - giving your rescue pets an even greater chance of finding their forever home, faster. 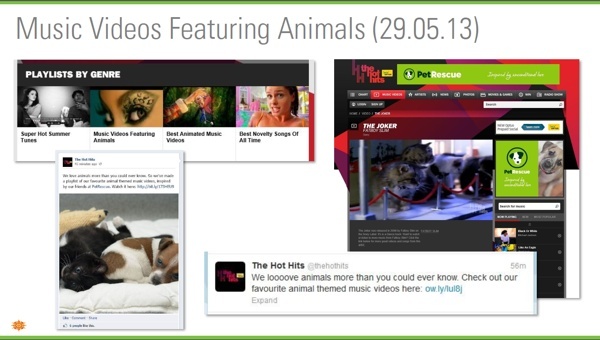 The PetRescue team would like to give a shout out to the guys who helped us realise our vision to take pet adoption to the people – a big thank you Starcom MediaVest Group, MCM Media and WHYBIN \ TBWA Group.